We’d love your help. 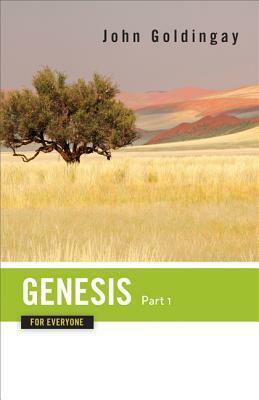 Let us know what’s wrong with this preview of Genesis for Everyone, Part 1 by John E. Goldingay. John Goldingay, an internationally respected Old Testament scholar, authors this ambitious series, treating every passa Following on the heels of the successful New Testament for Everyone commentaries by acclaimed scholar and author N. T. Wright, Westminster John Knox is pleased to announce the first volumes in the all new Old Testament for Everyone Bible commentary series. To ask other readers questions about Genesis for Everyone, Part 1, please sign up. I read all the "...for Everyone" commentaries of the New Testament by NT Wright and really enjoyed them. The friend who gave me the New Testament commentaries recommended I start on the Old Testament "...for Everyone" books by JOhn Goldingay. Goldingay, is a Brit, like NT Wright, but he now lives in California and teaches at Fuller Theological Seminary. I appreciate his British take on things (like Wright), but his residency in America, gives his examples a little more resonance with me. Golding I read all the "...for Everyone" commentaries of the New Testament by NT Wright and really enjoyed them. The friend who gave me the New Testament commentaries recommended I start on the Old Testament "...for Everyone" books by JOhn Goldingay. Goldingay, is a Brit, like NT Wright, but he now lives in California and teaches at Fuller Theological Seminary. I appreciate his British take on things (like Wright), but his residency in America, gives his examples a little more resonance with me. N.T. Wright's New Testament for everyone series is practical and accessible. Certainly it is sparse on detail but it simply could not be a 'for everyone' commentary if it spilled ink toward every exegetical conundrum. When you look at his other commentaries and writings (outside the series) you know he has done his homework. Goldingay is a good compliment to Wright. He has written one of the best Old Testament Theology's as well as some great commentaries (I love his Psalm commentary published b N.T. Wright's New Testament for everyone series is practical and accessible. Certainly it is sparse on detail but it simply could not be a 'for everyone' commentary if it spilled ink toward every exegetical conundrum. When you look at his other commentaries and writings (outside the series) you know he has done his homework. Goldingay is a good compliment to Wright. He has written one of the best Old Testament Theology's as well as some great commentaries (I love his Psalm commentary published by Baker). Like Wrights volumes, this is more pastoral construed than your typical commentary, often beginning comment on passage with personal anecdotes. Great for devotional use, or as suggestions for how to preach the passage. Doesn't always end with the devotional bang of the old Barclay devotional commentaries, or even the bang Tom Wright usually manages with his New Testament series, but great insights about the biblical text. I'll likely read the rest. Goldingay writes like he teaches: easy-going, accessible, wise, insightful, and witty. A great introduction to Genesis and the Bible itself.